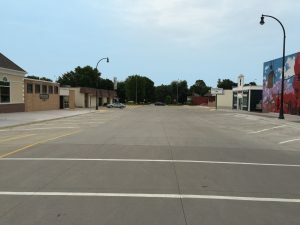 To improve the quality of the downtown shopping experience and encourage continued retail growth and reinvestment in the downtown area, the City of Orange City adopted a long-term plan to replace the streets in the downtown business and government district (city hall, county courthouse and other county offices). DGR Engineering was selected under separate engineering agreements to provide survey design and construction services for these projects. 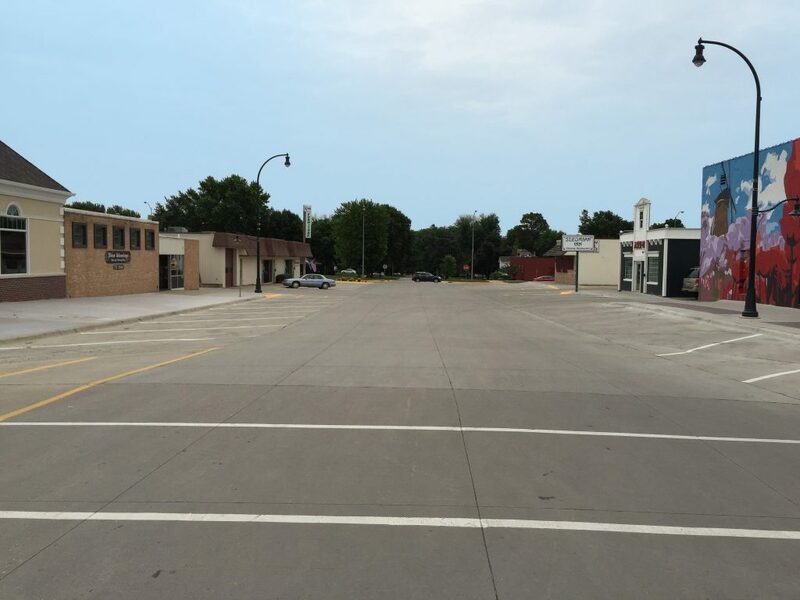 Most areas of the downtown streets are 63 feet wide with one lane of traffic in each direction with diagonal parking in front of the businesses on each side. The entire width of all streets was reconstructed with new pavement. New sidewalks with decorative concrete paver inserts were installed along all sections of Central Avenue and portions of 2nd Street NW and NE. Most existing street trees along Central Avenue were retained with tree grates installed in the new sidewalk and brick pavers. 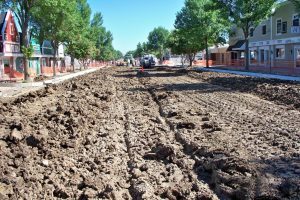 Existing water main and water services were replaced along most street segments along with sanitary sewer and storm sewer improvements as needed. Existing street lights were removed and refurbished, then reinstalled on new concrete footings with decorative shrouds at the base. 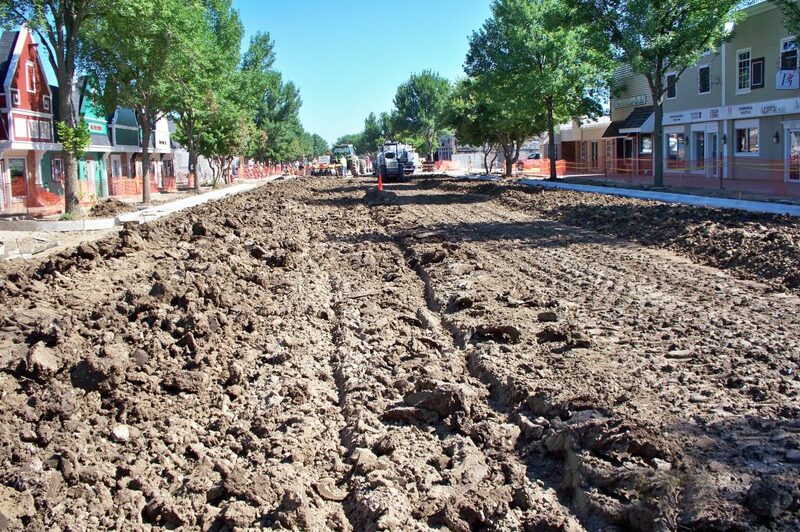 Centerline and gutter line street grades on Central Avenue were adjusted to match grades of existing store fronts on each side of the street, while maintaining proper drainage in the gutter. Where diagonal parking was present on side streets, the street section and grades where modified to move the storm drainage from the middle of the parking stalls to a gutter section at the back of the parking stalls, thereby allowing shoppers to exit their vehicle and get to the sidewalk without stepping into gutter. DGR and the city worked closely with the business owners in the design phase to determine the desired look of the completed project and to incorporate business access into the construction phasing plans.